Web Hosting Services – STUART, FLORIDA – GlowHost recently announced that their customer’s choice of nine geographically separated Data Centers places them in the top tier of Web Hosting Providers. Clients can now take advantage of the most reliable carrier neutral datacenters in the USA and Europe, which results in the shortest possible routes from the Data Center to the web site visitor. Each Data Center has been placed in a strategic location throughout the USA and the Europe so as to ensure optimum content delivery speed. GlowHost reports that their new call centers are 100% American based, and their Technical Analysts operate in offices throughout the USA and Europe. Data Centers are now located in: Salt Lake City, UT, Atlanta, GA, Chicago, IL, Dallas, TX, Los Angeles, CA, Phoenix, AZ, Amsterdam, NL, London, UK, and Nottingham, UK. 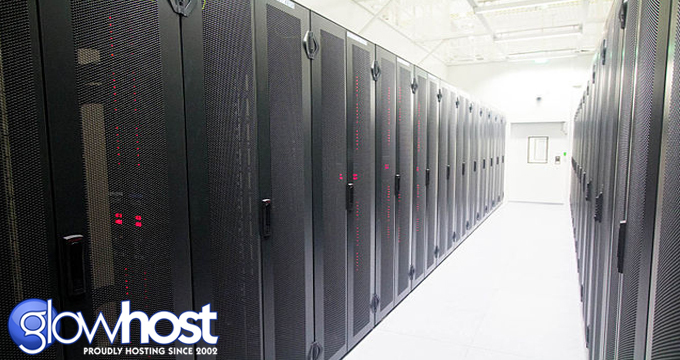 Clients are urged to choose a Data Center closest to their intended geographical target area. A company spokesperson points out that the three most popular managed server configurations utilize anywhere from 8 gigabytes to 32 gigabytes of RAM. “Customers have rapidly increased their system requirements. Only a year or two ago, and for years before that, people were ordering servers with 1-2 gigs of RAM and were perfectly happy. The good news is that the GlowHost Team has the expertise to design systems to meet the most demanding specifications from complex load balanced clusters, cloud configurations or even single dedicated servers.” The company reports GlowHost can ramp up modern machines with an amazing 256 gigs of RAM. Unlike other Web Hosts, GlowHost will migrate all files and databases from the previous provider free of charge without limitation on the size of data. GlowHost also provides other value added services that separate them from their competition. For example, for the entire year of 2014 they plan on offering the first month of service for half price and the second month free of charge on all managed servers. Full details are available at www.glowhost.com. GlowHost.com has become a dominant force in web hosting, and has been around for over twelve years. They have boasted being the invisible backbone for hundreds of thousands of domains worldwide. Their highly trained and Certified Technical Team is available 24-hours a day, seven days a week, 365-days a year, and this includes Holidays. Management explains that they only use top of the line hardware, such as: HP StorageWorks SAN’s, CISCO switches and routing equipment, Intel Processors, server-grade hard drives and memory modules, and more. GlowHost gives back to the community by offering Free Web Hosting to startup non-profit organizations operating out of the USA.